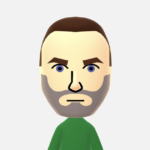 I’m no stranger to “exergames” on Nintendo devices. Wii Fit, EA Sports Active, Wii Fit U…even Brain Age, if you consider mental fitness. I can’t say they ever did me too much good—I’m not running marathons now or trying out for American Ninja Warrior—but I recognize the benefits of moving in front of the TV instead of sitting in front of it. I’m early into my time with Fitness Boxing, but I’m pretty sure that’s how it’ll do me good. Fitness Boxing takes a no-frills approach to its exercises. With no Wii Balance Board required, you simply tell it your weight and height (metric system only, so I was happy to have Siri handy) and off you go. It doesn’t even ask your age, it just gives an estimated BMI and, eventually, your “fitness age” based on how you performed. No more “That’s obese!” insults. 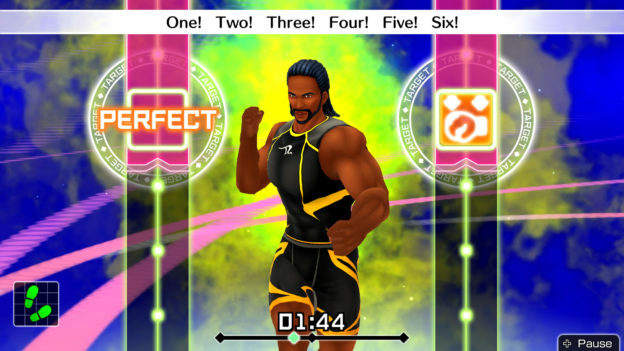 The game teaches you how to box, or at least how you’d do it with Joy-Con controllers instead of gloves. With one in each hand, you’re quickly told how to stand, where to position your arms, and how to bounce back and forth. This is exercise, after all, and a lot of that cardio comes from shifting your weight from foot to foot to the beat of generic versions of the included songs. Honestly, I was nervous when I saw the track listing, but the songs have been given a generic dance treatment that neatly sneaks them past your personal opinions of artists such as Justin Bieber, One Direction and Carly Rae Jepsen. In other words, it’s easy to focus on the beat and ignore the song if you want to (or, in my case, need to). Once you’ve learned the basics, Fitness Boxing will ask you what muscle groups you want to target and for how long you want to work out…with recommendations. You can tell it 15 minutes is enough, but the game makes it clear you should spend at least 25 to 45. I started low, but after a few sessions I felt comfortable spending more time in the game. After some light stretches, your instructor will start barking commands at you. Jab, jab, straight. Jab. Right hook. The beginning feels more like a chance to get comfortable with the feel of throwing punches at non-existent targets, but honestly, I quickly gave up attempting to achieve a “perfect” on my timing. 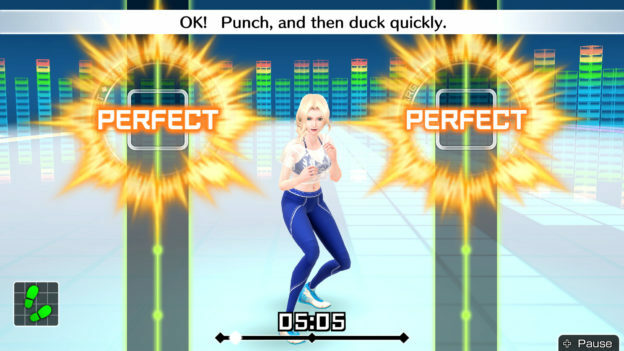 You’ll get “hit,” “perfect” or “miss,” and the Joy-Con never felt a whole lot more accurate than the old Wii Remote and Nunchuck combo (although the lack of a cable between the Joy-Con makes a world of difference). The instructor will remind you about practicing your swings, but why bother? Whether my Switch feels like I’ve thrown a good punch is irrelevant to the actual workout. The more you log in and the longer you work out, the more intense the workouts and punching combinations become. I was only a few sessions into it before I realized I was actually having fun doing this. I’m no fan of boxing or any combat sports, but it really does feel good to get into a rhythm with Fitness Boxing’s moves and combinations. After a half hour exercise I still feel pretty pumped up, unlike with most fitness routines that leave me exhausted and, oddly enough, hungry. On the other hand, that’s also partly because I’m not getting the cardio workout the game wants me to get. A lot of the benefits come from the legwork; the bouncing. But I found that hard to keep going when I’m throwing punches that feel out of rhythm with the beat. As such, I spend more time standing still or just bouncing up and down in order to focus on my punches. 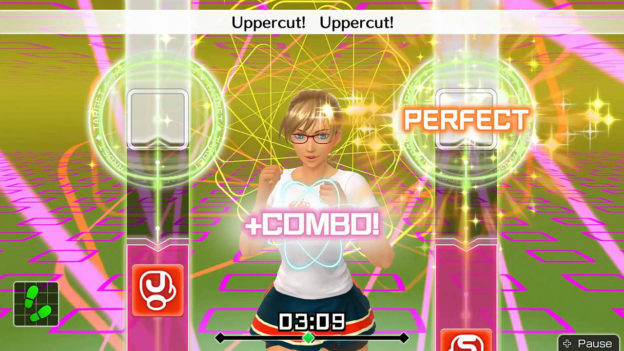 The core of the game centers on one person, but you can exercise with a partner or play a versus mode in which the most accurate puncher eventually fills a meter and wins the game. I can do without the latter, but I like that the partner exercise mode actually transfers the workout information from the main gamer’s account to the other when sharing a Switch. In other words, when my wife and I work out together under her account, my workout still counts towards my daily goals. So, that’s the workout. As for the overall package, it’s crisply designed, but fairly sparse. You have six instructors from which to choose: four women and two men. The dudes are oddly cartoonish, and I felt the female characters sounded more natural. One even annoyed me in the way some fitness instructors actually annoy me, so kudos to Nintendo for their accuracy. You’ll be able to acquire new outfits for them all as you progress, and you can always adjust their skin shade, hair style, eye color, etc. I suppose that’s carried over from the Mii days, but it seems rather unnecessary here. It’s not like I’m going to give up on the game because I don’t like my instructor’s choice of sweatpants. All that said, I won’t be able to tell you how I really feel about Fitness Boxing for a few months yet. I have a family vacation approaching at the end of March, and it’d be great if my sessions with the game are able to get me in better shape for it. I think it will. 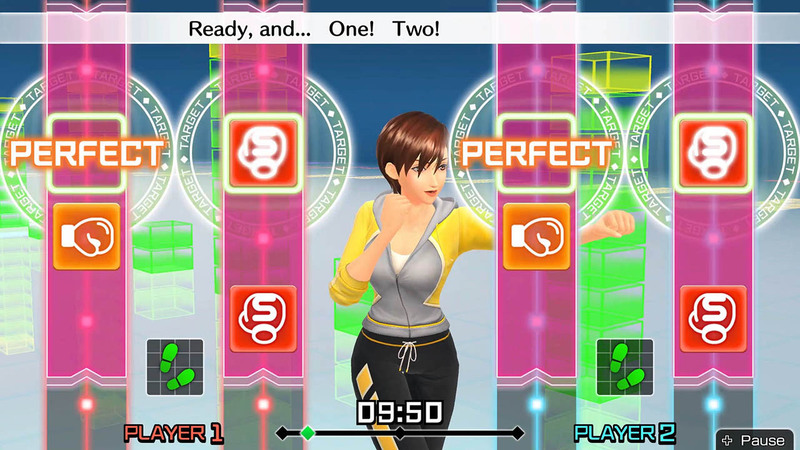 I enjoy the exercises more than anything in the Wii Fits, and that means I’m more likely to stick with it. Fake boxing in front of my TV is not an alternative to the gym. I get that. But I’m not going to a gym—like, ever again. 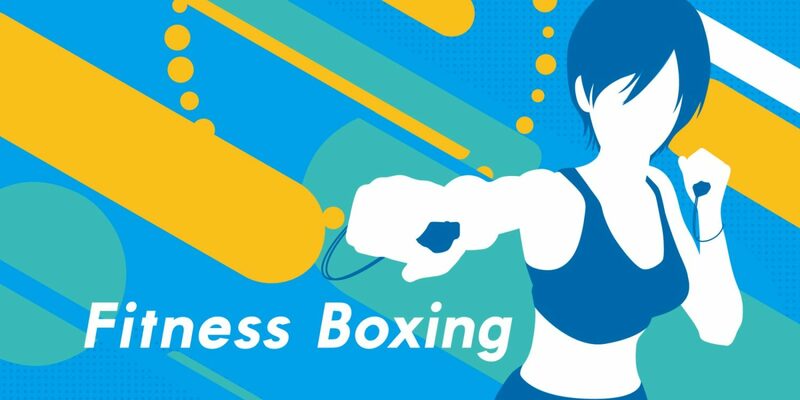 So, as an alternative to whatever show I’d be watching or game I’d be playing, Fitness Boxing succeeds at its $50 asking price (although I’d rank it a bit higher at $40). If you’re likely to feel the same, I recommend getting the digital download so it’s always present and ready when you fire up your Switch to play something else (and there is a demo you can try). A half hour of cardio before two hours of Octopath Traveller is a really good idea.